After I switched to having weekends off, I discovered it wasn’t so easy on a Saturday. Even back then, the multi-use trail was so popular that families walking four abreast, little kids with training wheels and other obstacles slowed me down. 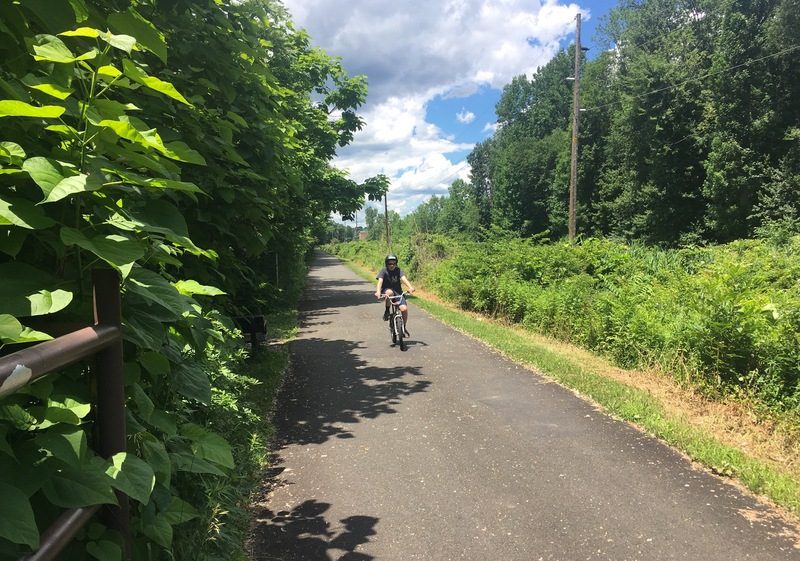 Here in Rockland County, we’re lucky to have a variety of bike trails including two rail trails. In recent years I’ve been guilty of taking them for granted. When you’re busy with work and kids it’s easier to run to the gym for an hour. This spring I resolved to start exercising outdoors so I’ve been spending a lot more time on a bike and finally got around to checking out our local trails. 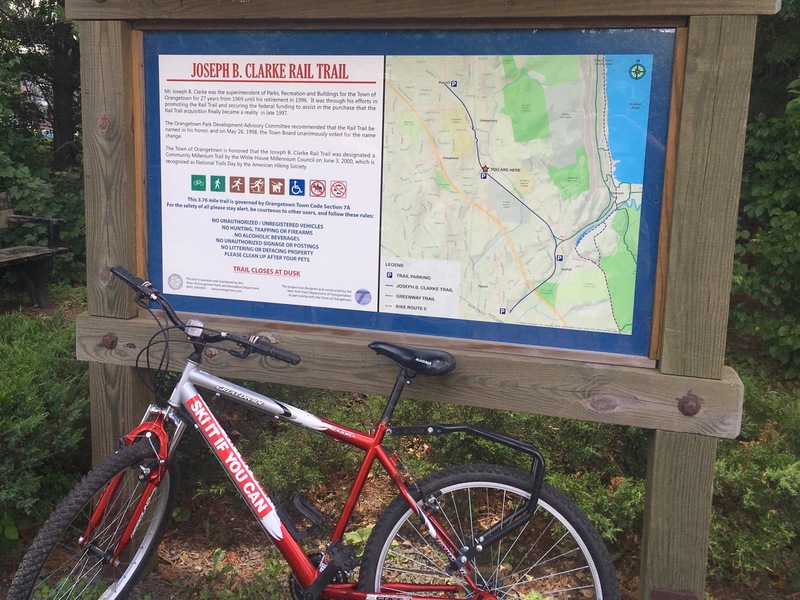 The Joseph B. Clark Rail Trail popped up on my radar after I read that the trail’s bridge over Route 303 had finally been completed. 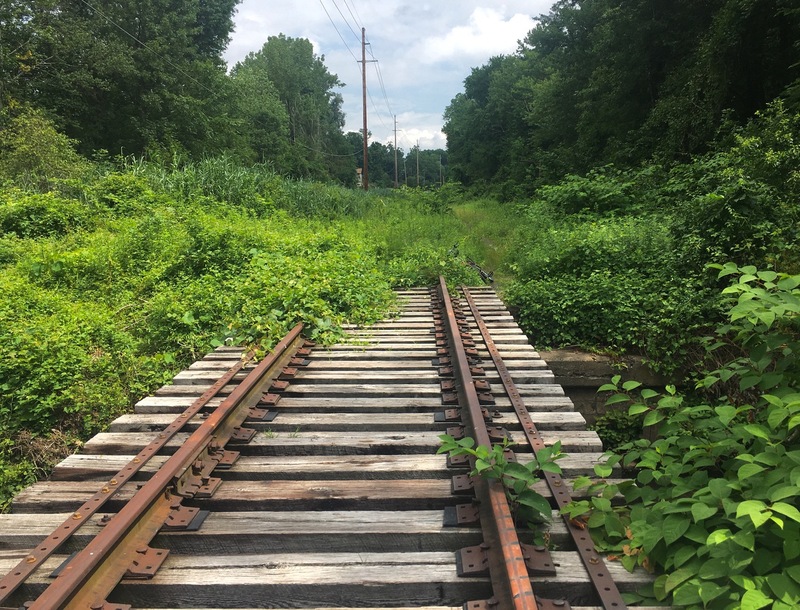 Last week I threw a couple bikes and my older son in the truck and drove to the Blauvelt end of the trail to start exploring. The trail had nice, smooth asphalt and easy grades. My son loved it but we quickly hit an obstacle. The bridge may have been completed but the tunnel under Orangeburge Road was not. Construction fencing and “Do Not Enter” signs blocked our way. 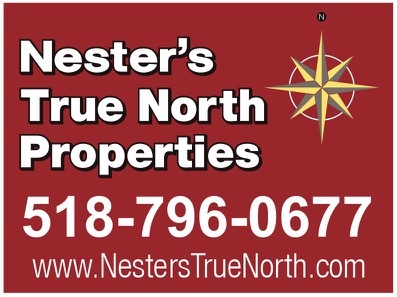 We looked around for a detour, but rather then dragging my son down busy Route 303, we headed back to the truck to start over on the other side of the construction. With that accomplished we were able to take the trail all the way to its terminus in Sparkill. At the end of the bike path I saw a narrow trail through some thick underbrush where the railroad right-of-way continued. I decided against bringing my son further, though it was tempting. As we headed back, we discovered the Nyack Rail Trail. We made a note to check it out later and headed back north. We both got a good workout and had fun. On Saturday morning we headed back out, this time parking in Sparkill so we could explore the Nyack trail. This was a whole different experience. 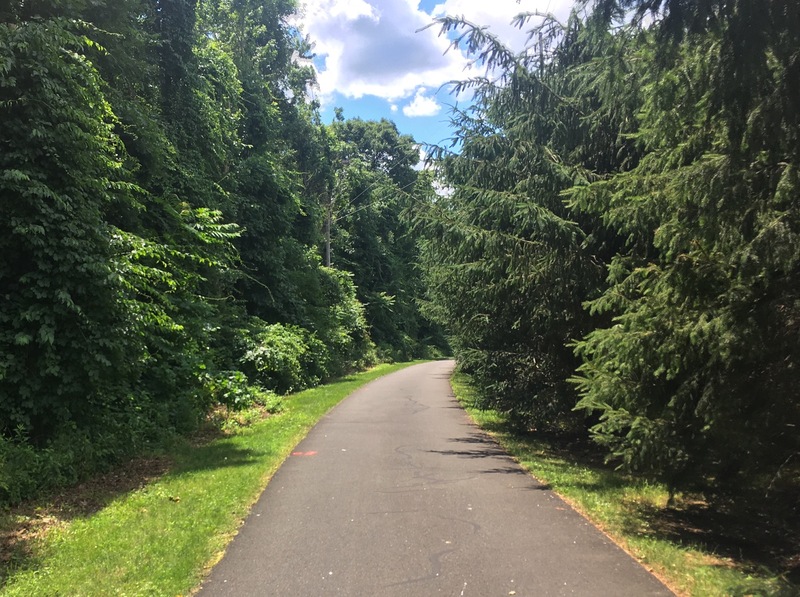 While the Joseph Clark and North County trails are wide asphalt paths with ten feet of grass in either side, the Nyack trail was narrower, crushed gravel under a canopy of lush green vegetation. 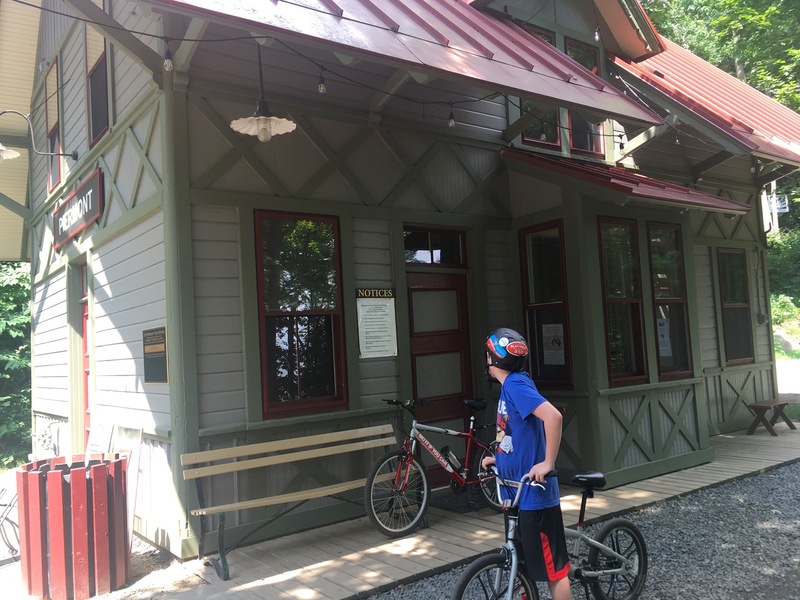 It was so overgrown it was difficult to imagine a railroad had ever been there until we came upon the restored station house in Peirmont. The trail climbed the first couple miles through the woods but the grade was not difficult. My son was on his old single speed BMX and, while I wouldn’t say he kept up, he was able to handle the gradual slope. When we reached what seemed like the path’s high point, we turned around headed back, resolving to do the full length of the trail next time. When we got back to the Joseph Clark trail we turned south, taking it all the way down to its end. With my son lagging behind, I crossed the road to check out the single track I’d seen last time. This was a bit more of an adventure. It was an unmaintained herd path with lots of rocks and branches across the narrow trail. As I proceeded I could hear unseen critters scurrying away in the brush on either side of my bike. I worried a little about poison ivy but kept on until I came to a small stream. It was only then that I realized that there were still railroad tracks under the brush to my right when they emerged to continue over a bridge. The trail continued on that side but I turned around to go find my son. 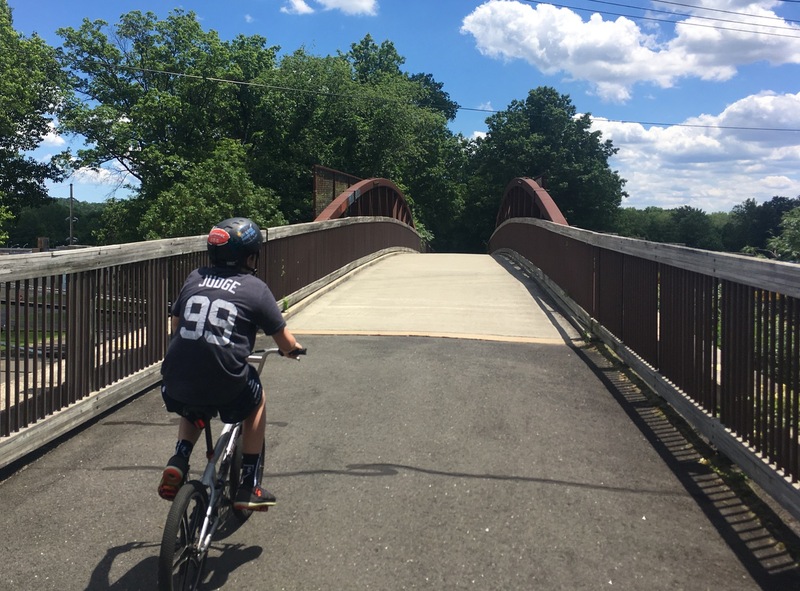 We’ll be back to finish the Nyack Trail once I get my son on a multi-speed bike and we’ll keep looking for more places to explore. Wikipedia lists over seventy rail trails in New York State. I don’t think we’ll run out any time soon. brownski, i always enjoy your articles. and rail-trails are something that makes bike riding better: no cars and lots more scenery. keep writing and motivating more people to do these cool things that you always seem to find! Thanks Snowsurfer. Don’t worry. I’ve got a few more adventures in me I think. Nice report. I am a big fan of rail trails as well. I’ve ridden most in the eastern half of PA. Check out the Lehigh Gorge Trail or the Pine Creek Trail if you ever get to PA.